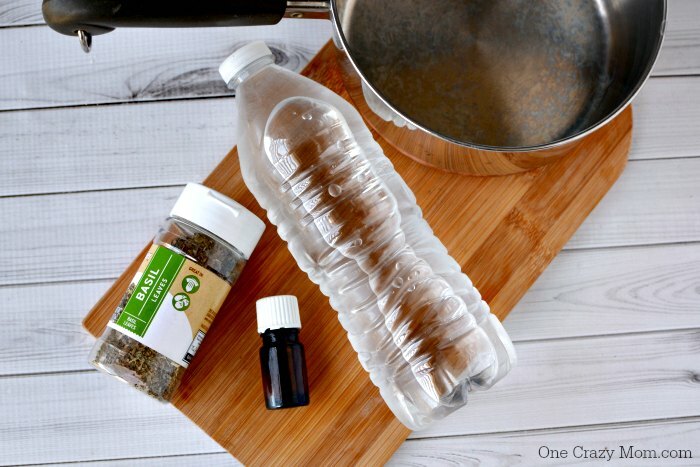 If you are trying to get rid of all the junk and chemical in products that you use, try making the Best Tea Tree Oil Face Toner. It’s incredibly easy to make and budget friendly. 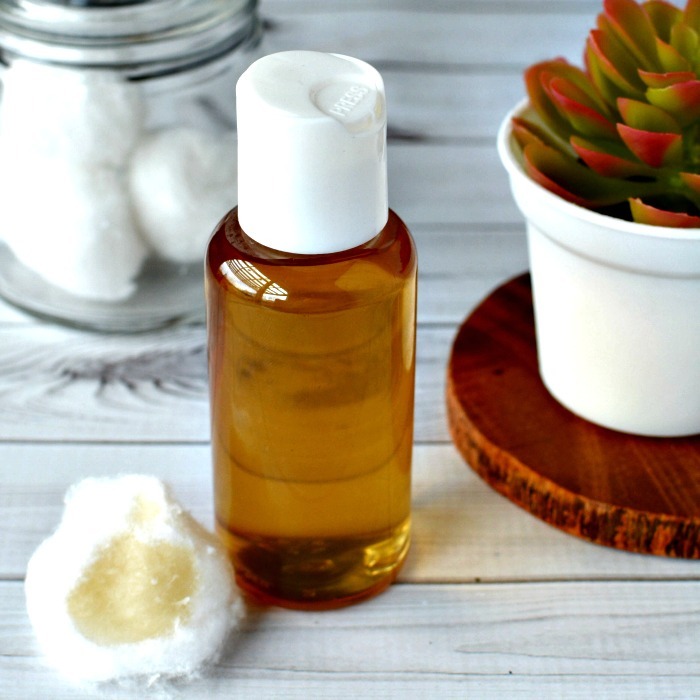 We have been making a lot of our products at home lately and this Tea Tree Oil Face Toner is so simple to make. We are steadily replacing the products we use with natural ones and it feels so good. To be honest, I thought it would be difficult to do this but it has been a lot easier than we thought it was going to be. Can I use tea tree oil as a toner? Yes! 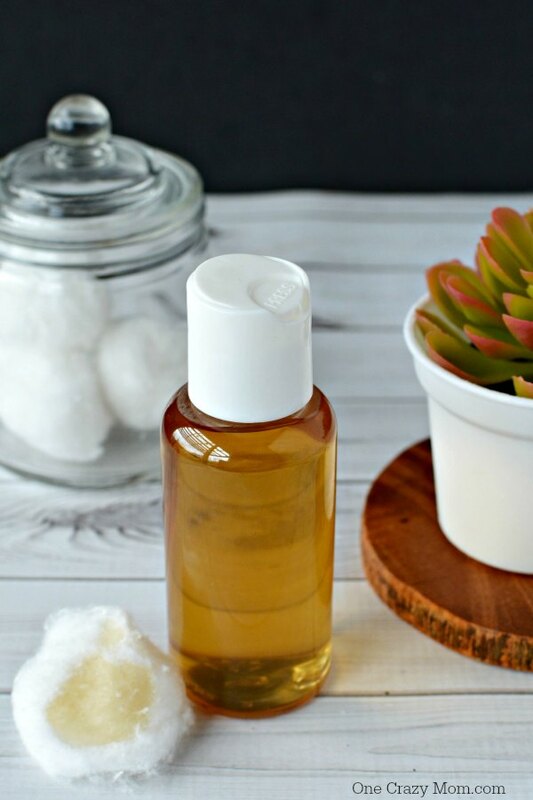 We are going to show you how easy it is to make this easy Tea Tree Oil toner. Tea Tree Oil is so useful and it is not harsh on skin. It even works on sensitive skin because it is so gentle. It is great on acne prone skin and has all sorts of wonderful benefits while being gentle on all skin types. What are some Tea Tree Oil Toner benefits? Antimicrobial Properties make Tea Tree Oil perfect for Acne prone skin. Anti-inflammatory properties that help to reduce redness and inflammation. Tea Tree oil is perfect for dry skin and helps soothe skin and reduce itching. Tea Tree oil helps with eczema. Those are a few of the most popular tee tree oil uses for toner. One of the easiest to make is this simple (and frugal) Tea Tree Oil for acne prone skin. This is a very easy and cost effective item that you can switch in your every day routine. It only takes a few ingredients to make and just a few minutes. No worries about what you are putting on your face or ingredients you can’t pronounce. Everything in this tea tree oil is very easy to find and natural. 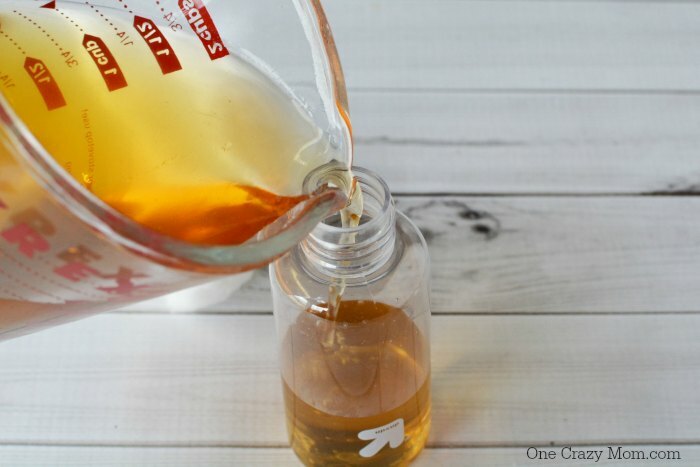 I think you will be impressed with how well this DIY Tea Tree Oil Toner works. You will love how much money you save. It’s such a good feeling being to use natural products without paying a hefty price tag. We all know how quickly things can add up at the store. The Body Shop Tea Tree Oil is one example and the price can really add up. It is nice having good quality products to use without spending a ton of money. 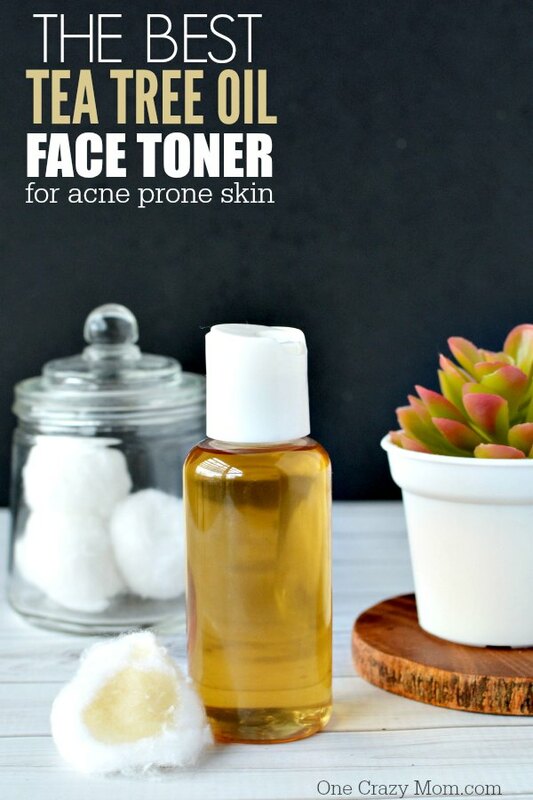 This DIY Face Toner has antibacterial benefits making it perfect for acne prone skin. This easy DIY face toner is great for us Moms that have this random acne, but also great for those with sensitive skin and even teenagers. You can feel good about giving it to your teenagers to use. The is gentle on skin and works great. All without yucky chemicals! It is so important to teach our children good skin care. 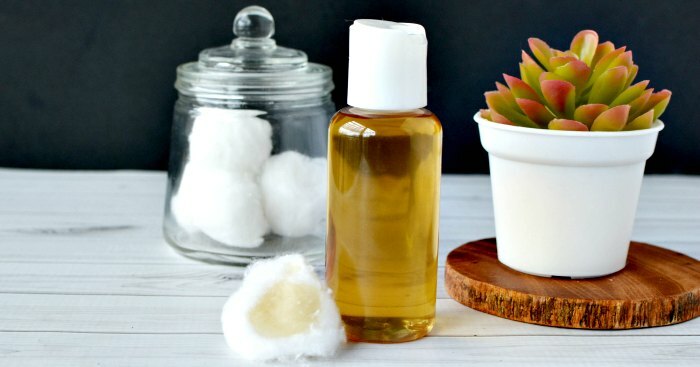 This DIY Toner is a great one to start teens out with using. They will learn the importance of a good skin routine while using an all natural product. Truly, you helping them lay the foundation for a life time of good habits and skin care routines. Let’s get started with this Homemade Face Toner! You are going to love it! I think you will be pleasantly surprised just how simple this toner is to make. 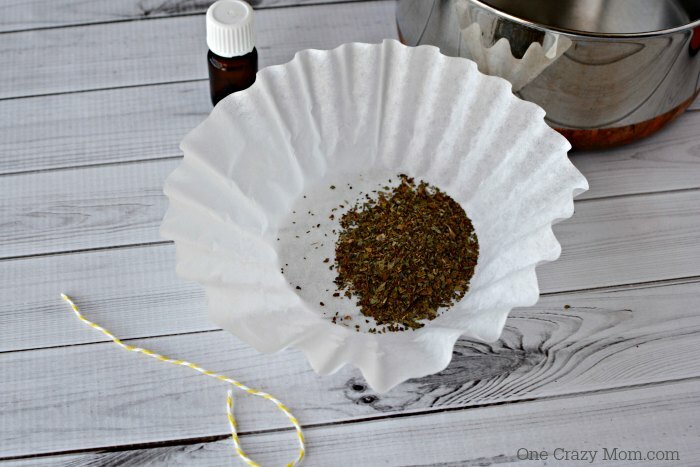 Place dried basil in a coffee filter. Tightly wrap and seal shut with a double knot of string. Boil water. Remove from heat and place bag of basil in the water. Steep the basil for up to 2 hours. Stir in tea tree oil. Place into a small bottle. 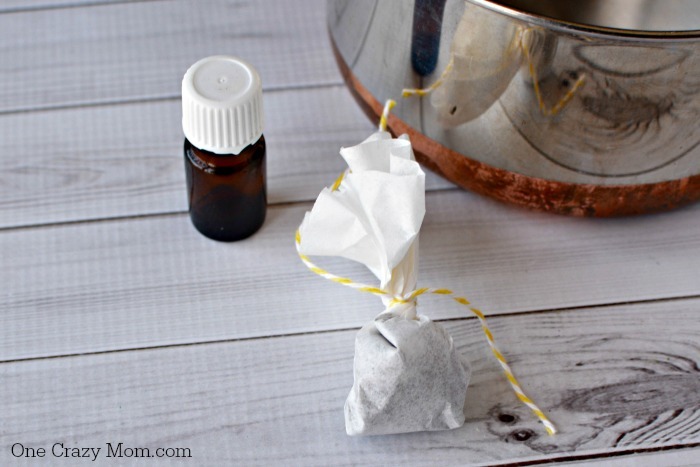 It is that simple to make Homemade Tea Tree Toner. Just note the shelf life is not that long because there are no preservatives in this toner. 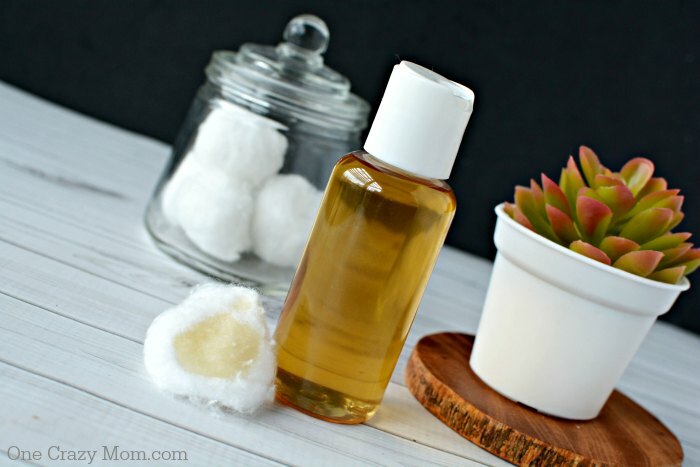 Apply the diy face toner with a cotton ball or cotton pad 2 times daily all over your face. Follow up with a natural moisturizer. We love this DIY Face Moisturizer. Skin care is so important and helps with anti aging. Regardless of your skin type, this DIY Face toner works great! Once you try tea tree oil, you will be impressed. It is the best tea tree products for acne! Tea tree oil toner for acne leaves skin feeling wonderful and looking great too. 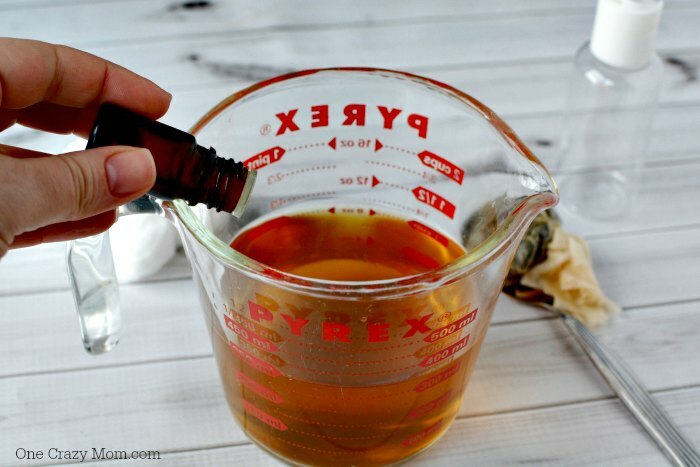 You will be so impressed with this DIY Face Toner. Did you know that apple cider vinegar is also great for skin? It is one of the best natural remedies. You can mix it with distilled water and essential oil to also make a skin toner that helps restore skin to a natural ph balance. Another option is witch hazel instead of the apple cider vinegar. Give this DIY Toner for face a try and come back and let us know what you think. Make sure you try this homemade facial toner and come back and let us know how you love it. You might also like to try Tea Tree face wash. This is the best toner for face. Tea tree oil for acne really does the trick and works wonders for all skin types including oily skin. Once I washed my face and tried this skin toning method for the first time, I was hooked. It seemed to even help with oil production. I love knowing I am putting really good ingredients on my skin. No hard chemicals or ingredients to do more harm than good. It seems many of those store bought products are often doing my hard than good. You will love how well this easy DIY Toner works. Natural Homemade Face Toner is one of our favorite natural products. Start with one product a week like this Tea Tree Oil Toner DIY. Basically, everyone is different and just do what works for you and your family. You are going to love using natural products and especially this Tea Tree Toner. With easy recipes like this, it’s a great place to start. Make sure you also try of of the 25 of the Best Natural Moisturizer ideas that are easy to make too! It is so important to moisturize so don’t skip that step. Also drink plenty of water! You can also learn how to make lotion with this simple DIY lotion. No worries about what all you are putting on your skin with this all natural homemade lotion. I know it may sound crazy but it really has changed us by using these natural products. It has all around made a huge difference in our day to day routines. It is so important to take good care of ourselves. I am learning that it really shows and it is totally worth the extra effort. Let us know how you enjoy this toner and any other of these fabulous all natural products you try. Yay! I’m trying this out today! Hi. How long would you say the shelf life could be? Julia – I would say 3-6 months. Thank you!